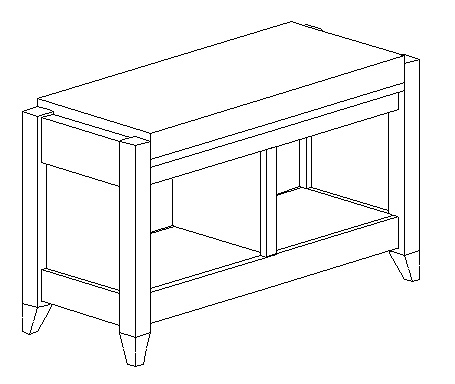 9/2/2007 Milled the legs for both benches. 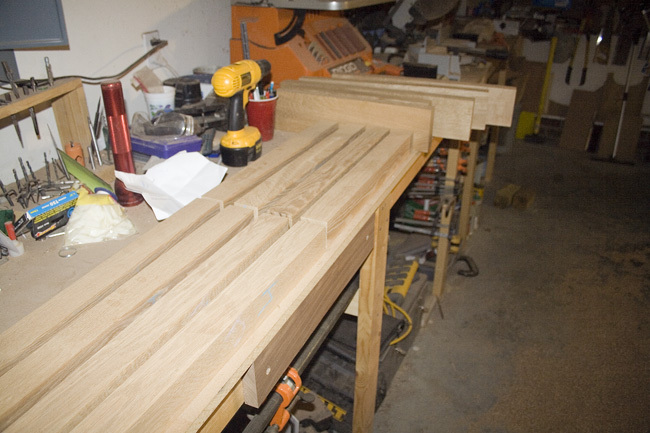 Also face jointed and planed to thickness the rails. 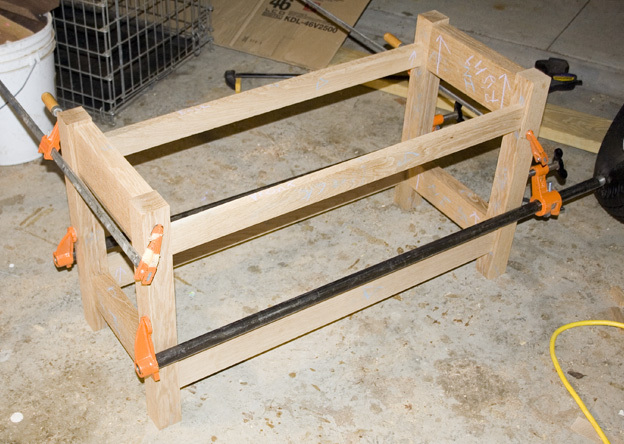 9/4/2007 Dry fit of main carcass assembly. 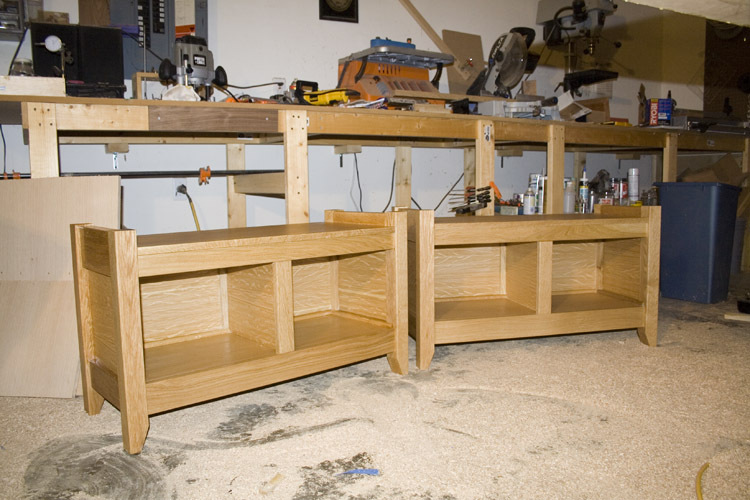 Still need center dividers, side panel grooves in rails and leg tapers. 9/8/2007 Another dry fit for panel measurements. 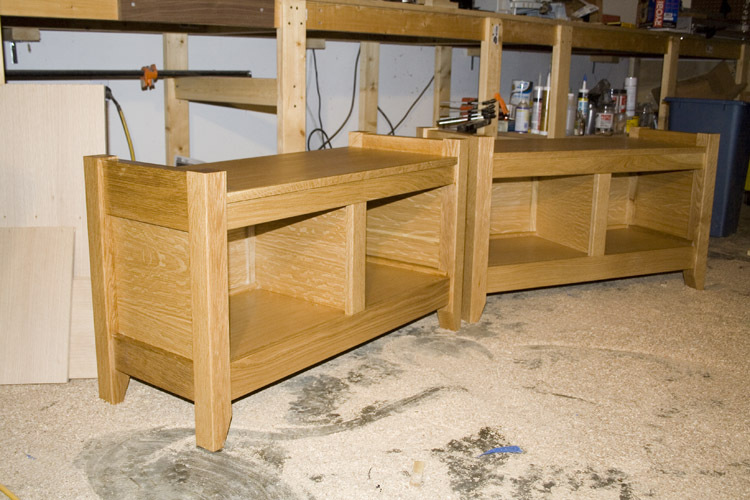 Most of the woodworking is done at this point. 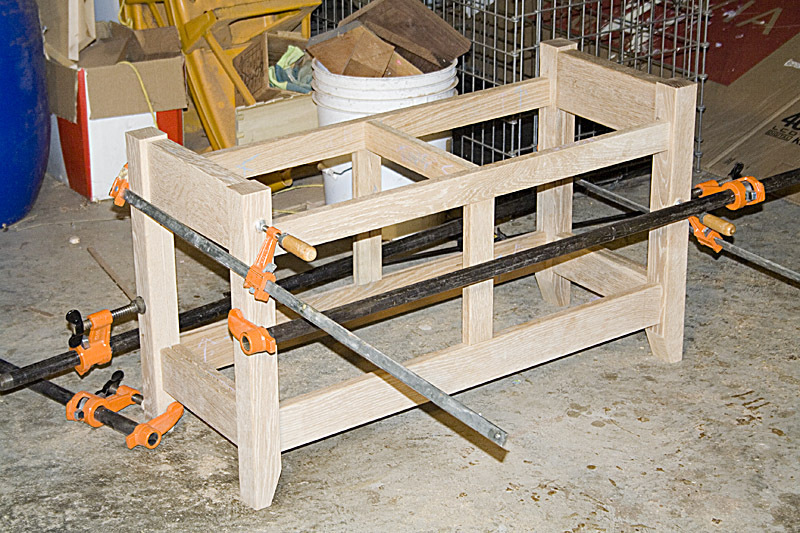 9/09/2007 Finished the glue up of main carcass. 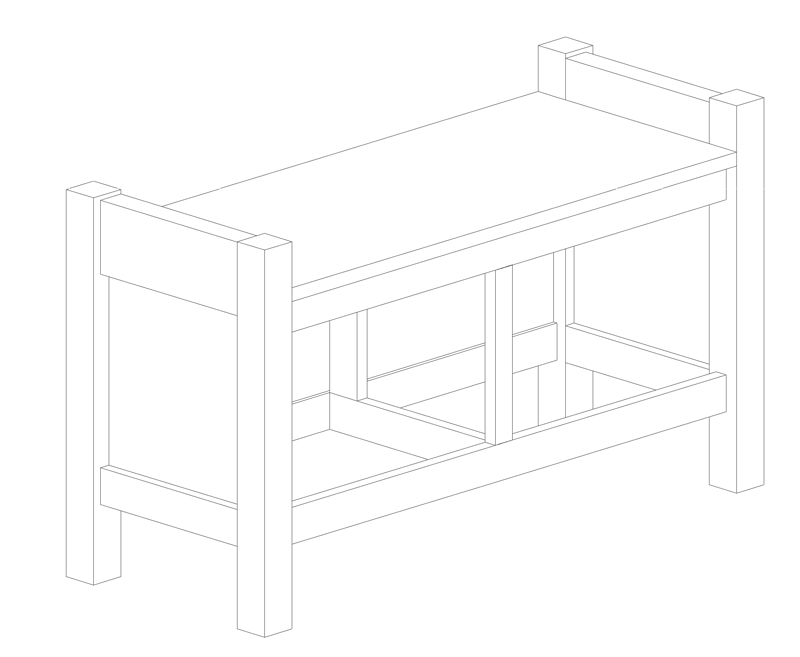 Still need to make the seat and shelf underneath. 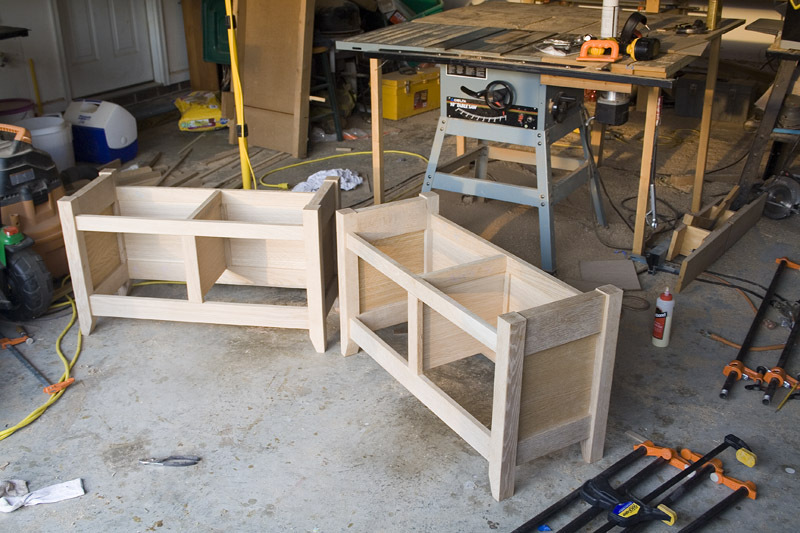 The side panels are made from quarter sawn white oak ply. 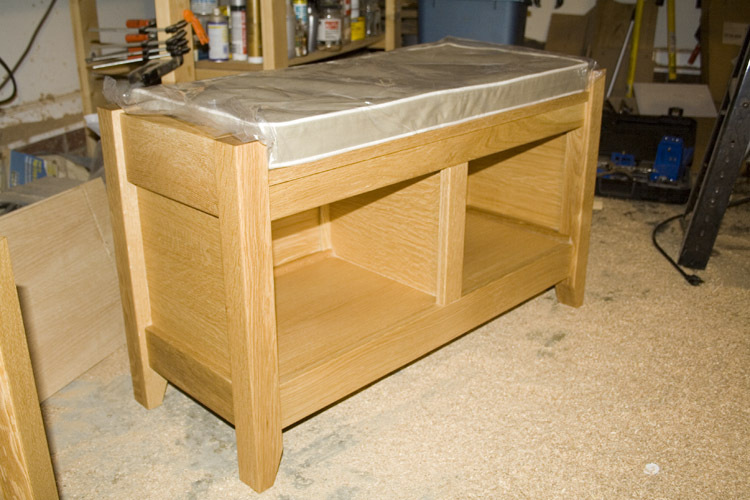 9/22/2007 Finished the lower shelf and the seat. 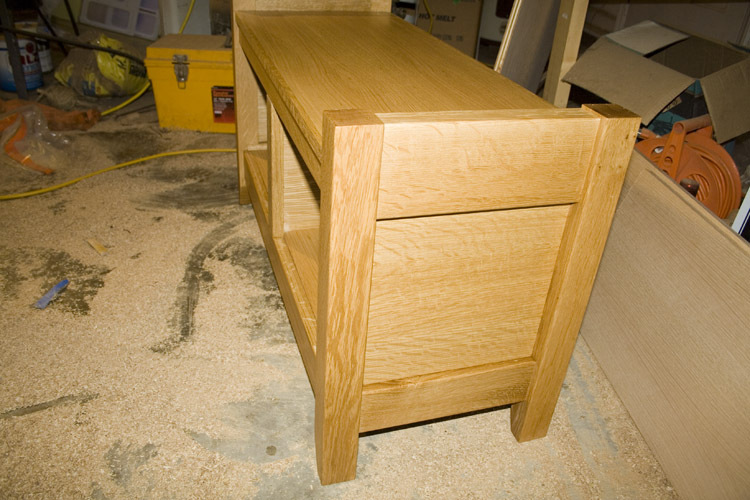 The oak plywood seat was edge banded with a 1/4" thick strip of oak. 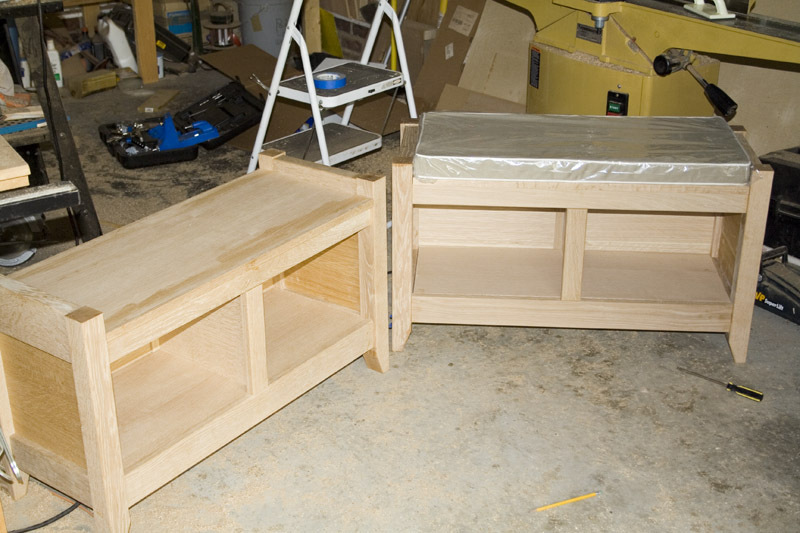 All that is left to do is sand and apply a finish! 9/24/2007 Finished with wipe-on polyurethane. 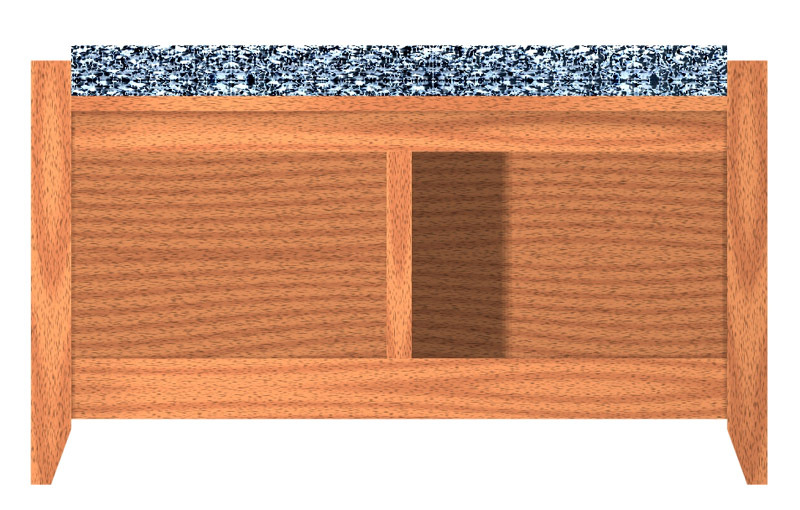 The grain in the quarter sawn white oak panels really 'popped' after finished with poly!